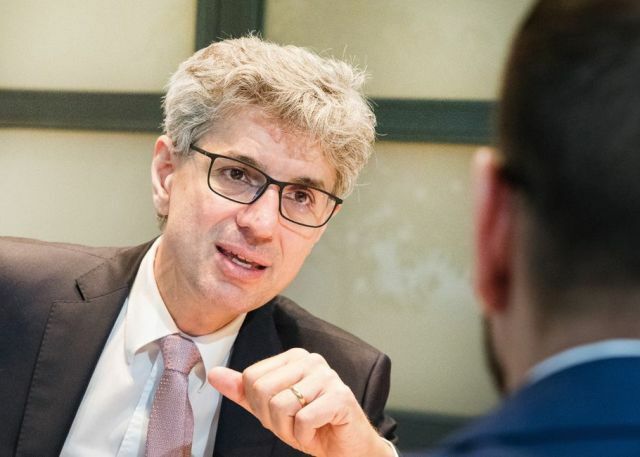 The passion for property that motivates us in our everyday work is also evident in our company offices. 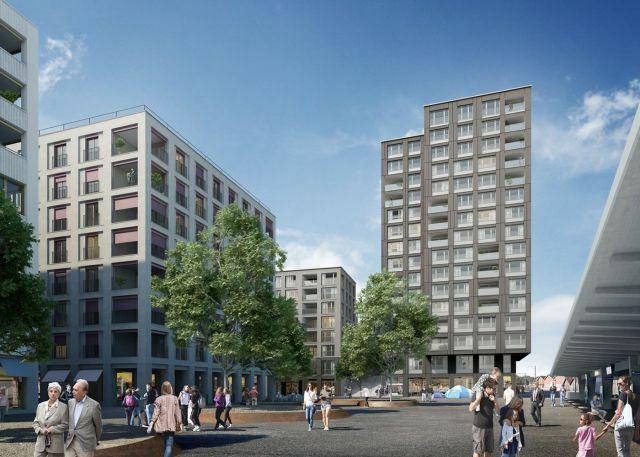 In particular, the new builds in Küsnacht-Zurich, St. Gallen and Basel set high architectural standards. 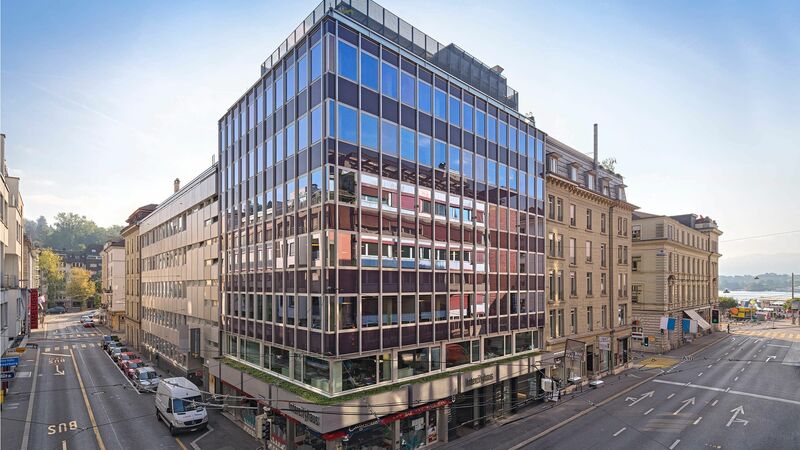 The six-story building with about 3,000 m2 of floor space in Zurich’s Riesbach neighborhood has been the main office of the Intercity Group since it was established in 1972. 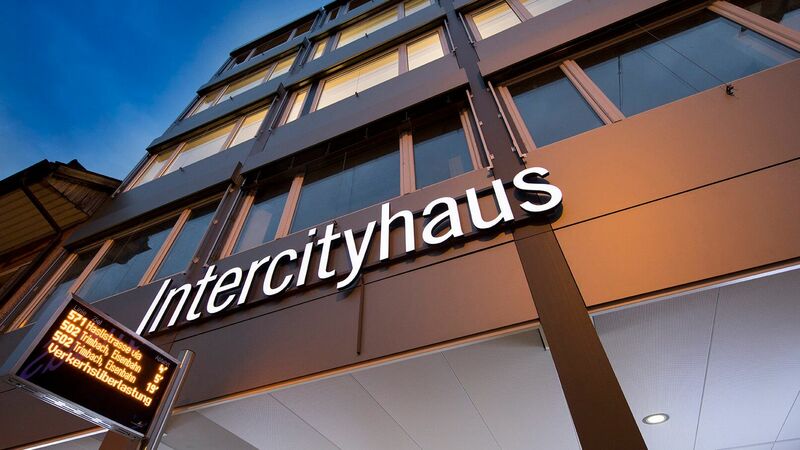 In December 2018, SPG Intercity Zurich AG acquires the first Intercityhaus in German-speaking Switzerland. 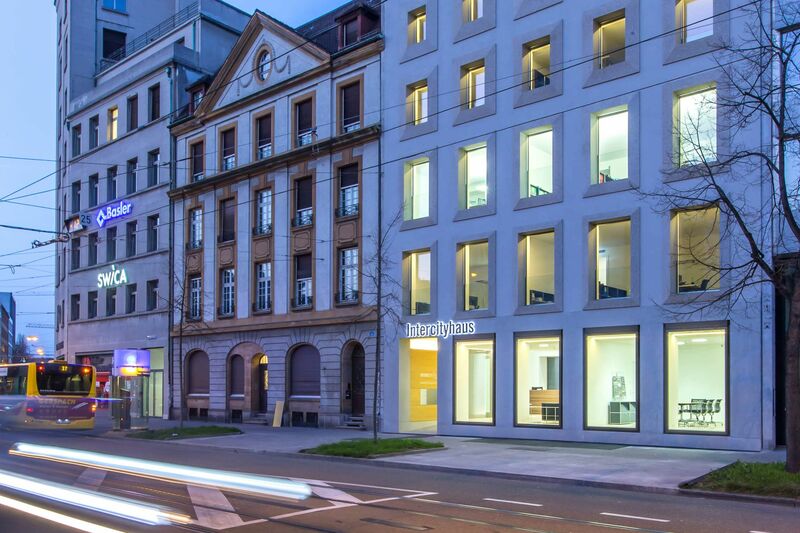 Situated in a prime location at Seestrasse 17, the building’s generously proportioned spaces are ideal for flexible working and feature the latest innovations and equipment. 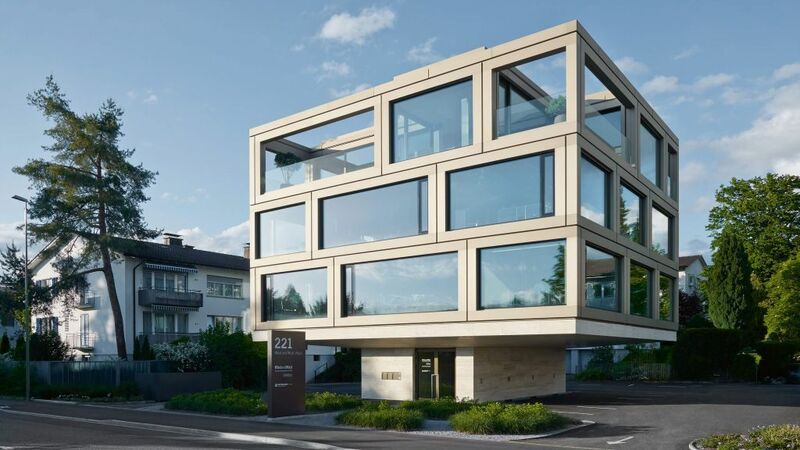 The distinctive and multi award-winning Wüst und Wüst Haus, at Seestrasse 221 in Küsnacht-Zurich, was designed by the renowned architectural practice giuliani.hönger. In 2015, the Wüst und Wüst head office won gold in the European ‘best architects’ awards 2016. 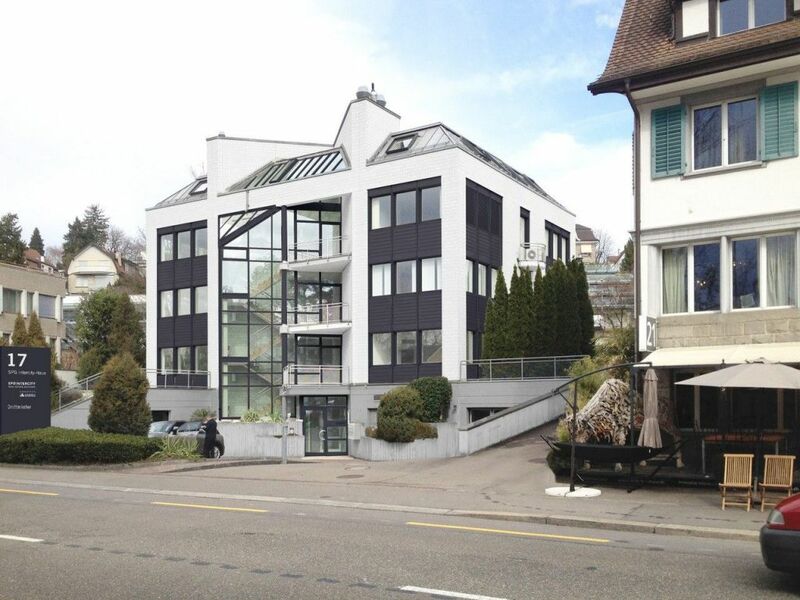 In Lucerne, both the Intercity and Wüst und Wüst offices can be found at Alpenstrasse 6, just a few meters from the old town and the lake. The 10-story, 1970s corner property comprises about 2,000 m2 of floor space. 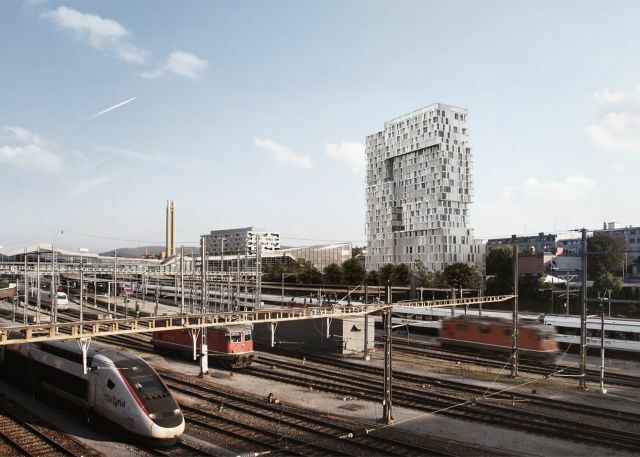 In Basel, the Intercity and SPG Intercity offices are in a prime location, on Aeschenplatz. The seven-story Intercityhaus, which dates from 1860 and was extended in 1967, was remodeled by Selva Architekten in 2014. 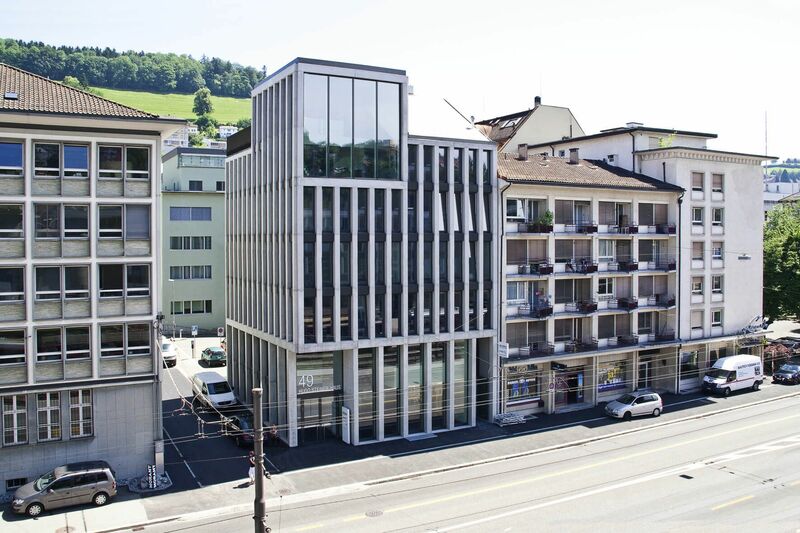 The Intercity office in Olten is located in a six-story building directly by the Jurastrasse/Baslerstrasse bus stop. 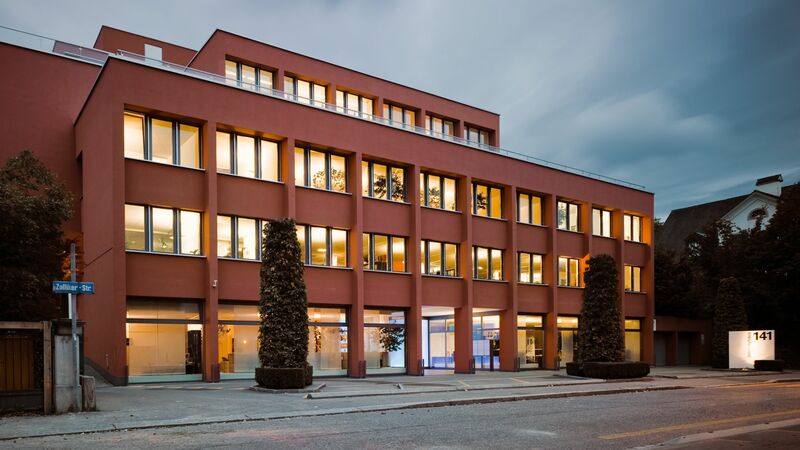 The Intercity and Hugo Steiner offices can be found just a stone’s throw from St. Gallen railway station in the 10-story Hugo Steiner-Haus, designed by renowned St. Gallen architect Andy Senn. 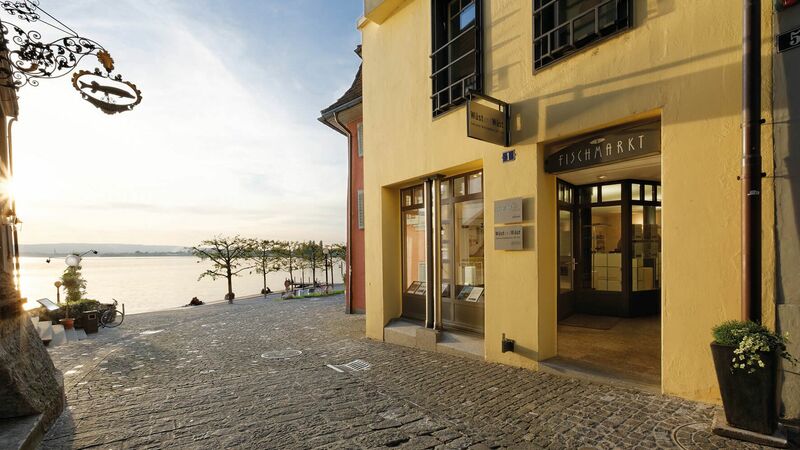 In Zug, the Intercity and Wüst und Wüst offices are in a prime location in the old town, at Fischmarkt 1.